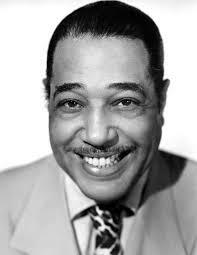 Today in Masonic History Edward Kennedy "Duke" Ellington passed away in 1974. Edward Kennedy "Duke" Ellington was an American musician, composer and band leader. Ellington was born in Washington, D.C. on April 29th, 1899. At the age of 7 he began taking piano lessons. His mother surrounded him with dignified women to reinforce his manners and to teach him to live elegantly. Unlike other "Jazz Royalty" Ellington did not get his nickname from his musical prowess. Instead Ellington's friends felt that he carried himself like a young nobleman by the way he dressed and spoke. The nickname "Duke" caught on and would stay with him throughout his life. Although Ellington was taking music lessons, his first love was baseball. Ellington was reminisced that President Teddy Roosevelt "would come by on his horse sometimes, and stop and watch us play." Ellington went to Armstrong Technical High School in Washington, D.C. His first job was selling peanuts at the Washington Senators baseball game. It was in 1914, while Ellington was working as a soda jerk that he wrote his first composition. At the time he could not read or write music so he composed it entirely in his head. Around the same time he was sneaking into the local poolroom so he could hear the poolroom pianists playing. They inspired him to take his piano studies seriously. Working as a freelance sign painter in 1917, Ellington began working on his professional career. Along with his side job as a courier for the United States Navy and United States State Department, Ellington was making contacts all over the city and quickly began to get jobs for his band. They would play for both African-American audiences and white audiences, which was rare in the segregated society of the time. Ellington would move to New York City seeking his fortune. A big risk after he had established himself in the Washington D.C. area. Arriving in New York, Ellington found life as a musician there hard going. It wasn't until after moving back to Washington D.C. briefly and getting a gig in Atlantic City that Ellington and his band started working steadily. In 1924, Ellington made eight records, three of which he received composing credit. In 1927, Ellington began playing at the famous Cotton Club. His Cotton Club orchestra had a weekly radio broadcast and the exclusively white audience would pour into the club to see Ellington and his band. They provided all of the music for the variety of acts that performed at the Cotton Club which included vaudeville, dance, music and comedy. In 1929, Ellington and the Cotton Club orchestra appeared on stage with Florenz Ziegfield's Show Girl for several months. That same year, Ellington began working as an actor in various films. In 1931, Ellington's run at the Cotton Club ended. In the late 1940's after World War II, Ellington like many musicians of the time went to Europe. Where contemporaries like Count Basie struggled with their bands, Ellington thrived in Europe. At one point playing 74 dates in a 77 day time period. In 1956, back in the United States, Ellington played at the Newport Jazz Festival. There his career had a revival. He was able to reach a new generation of jazz fans. At the festival, due to the late arrival of four key players in the band, Ellington pulled out two pieces that had not been played by the band since the 1930's. Ellington and the band brought the crowd to their feet as they played through the curfew time of the festival. Despite pleas by the organizers of the festival, Ellington pressed on. The event made international headlines and led to one of five Time magazine covers to feature jazz musicians. In 1966, Ellington was nominated for a Pulitzer Prize in Music, he unfortunately lost out to another nominee. In 1999, he was awarded a special Pulitzer Prize on the anniversary of his birth. Ellington passed away on May 24th, 1974. Ellington was a member of Social Lodge No.1 in Washington D.C.